1, T If Chaos Orb is in play, flip Chaos Orb onto the playing area from a height of at least one foot. 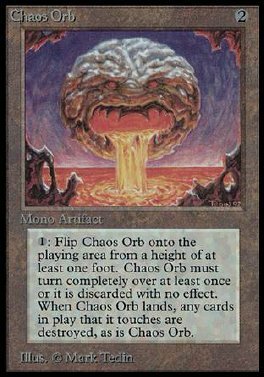 If Chaos Orb turns over completely at least once during the flip, destroy all permanents it touches. Then destroy Chaos Orb.